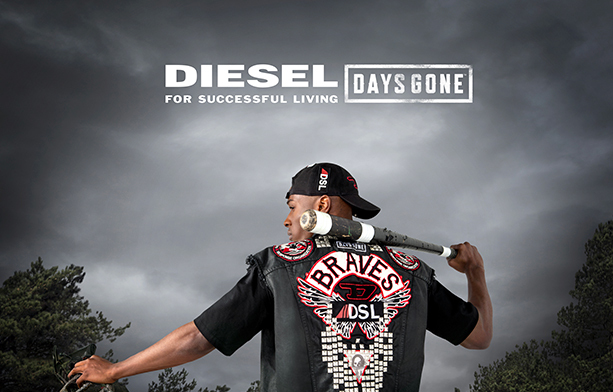 Days Gone is PlayStation’s most anticipated new game, and to celebrate its launch, Diesel created its most exciting capsule collection to date. Imagine you’re on a mountain road, watching below as Freakers unleash carnage and hell. It’s just you, your friends and your motorcycles, and you’ve got the gear to go with it. Inspired by bikers and teeming with moto influences, this capsule collection takes a heritage pillar of Diesel’s DNA and pushes it to the next level. Skinny jeans, studded jackets, printed t-shirts and cut-offs make it just as easy to move as to hide. Survival never looked so good.